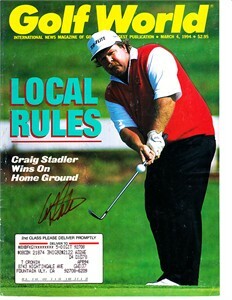 1994 Golf World magazine COVER ONLY autographed in red Sharpie by 1982 Masters Champion Craig Stadler. Obtained in person, with certificate of authenticity from AutographsForSale.com. 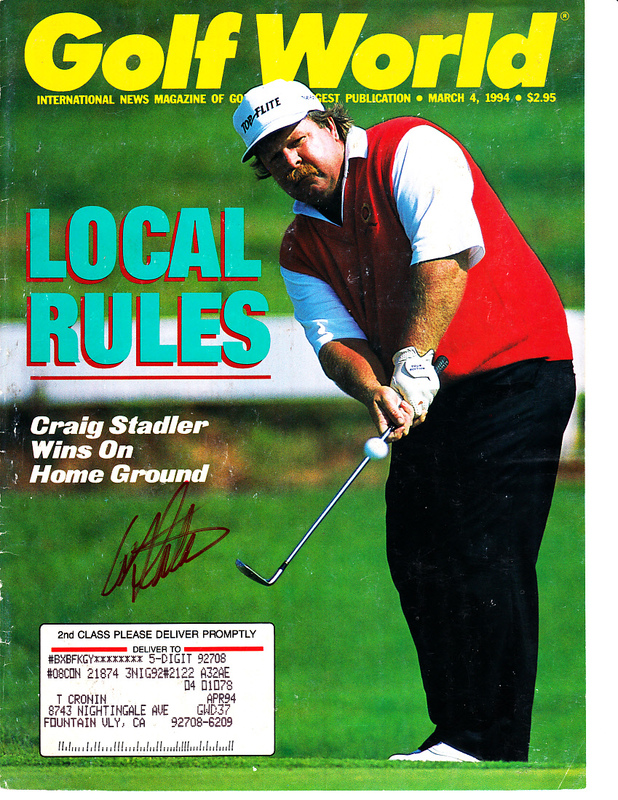 Has moderate flaws and wear. ONLY ONE AVAILABLE FOR SALE.